I first measured where I wanted the horizontal lines to be. I marked with the sharpie. 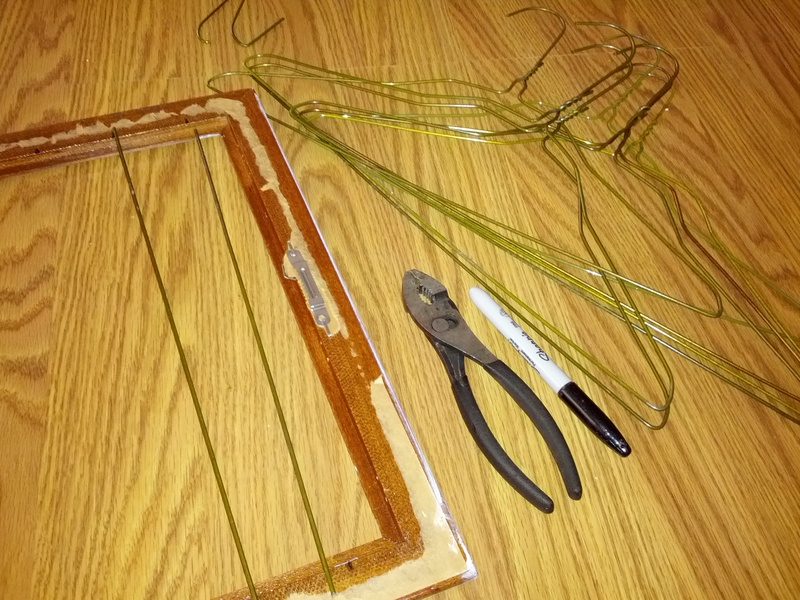 Cut the bottoms of the wire hangers to be just a little long. Drilled a small hole at each mark and inserted the hanger piece into each hole. Hung it up in the bathroom. 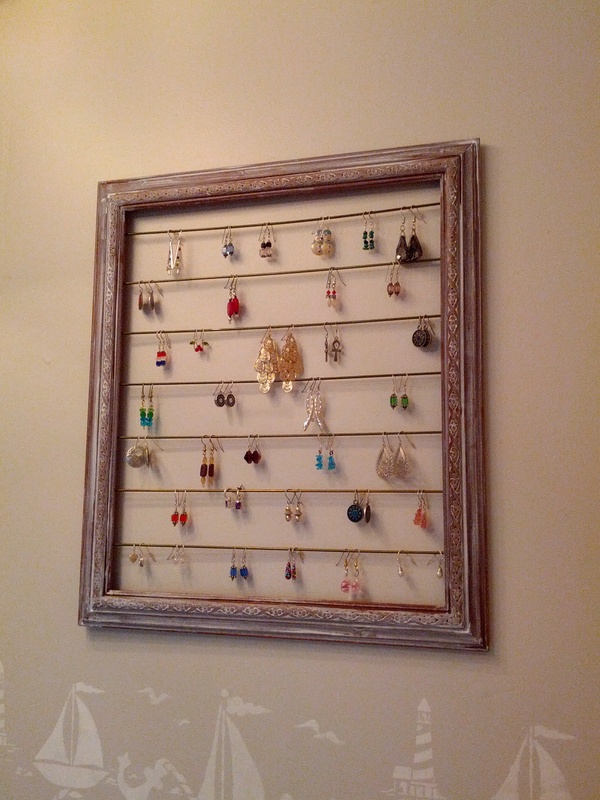 Makes for a functional art piece showing off my earring collection.